Sunday 28th July 2019 . 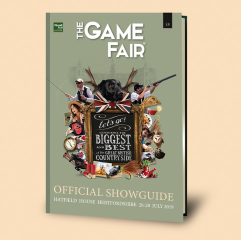 The Garden Experience Ticket includes admission to the The Game Fair, Hatfield House and Capel Manor Gardens. Would you like to purchase a Showguide? Buy in advance for £8 compared to £10 on the day. -A digital version of the Show Guide will be made available to all who pre purchase a week prior to the event, so you can plan your visit in advance! Standard car parking is free of charge however limited Premium and In Show parking can be purchased in advance. Would you like to camp? 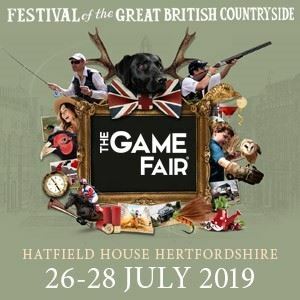 The Game Fair campsite is the perfect place to base yourself for the ultimate experience at The Game Fair 2019. Open for 5 nights, from Wednesday 24th July - Monday 29th July. We welcome caravans, motor homes, horse boxes and tents with our new pitch size now at 10m x 10m or modules thereof. Facilities on site include water points, rubbish collection, showers and toilets and on-site shop for all your needs as well as on site catering. Situated within walking distance of the main event within the Hatfield House estate, the campsite has a whole team on hand 24hrs a day to ensure you enjoy your stay. The pitch price is for up to 6 people and 1 vehicle. If you are bringing more than 6 people, then simply book extra pitches. A Camping ticket does not include admission to the fair. A fair admission ticket is also required. * The transaction fee is £1.95 for Standard Delivery or £1.95 for E-ticket (Print-at-home). If you would prefer to book by phone please call 0844 8586759 (calls cost 7p per minute plus network extras).